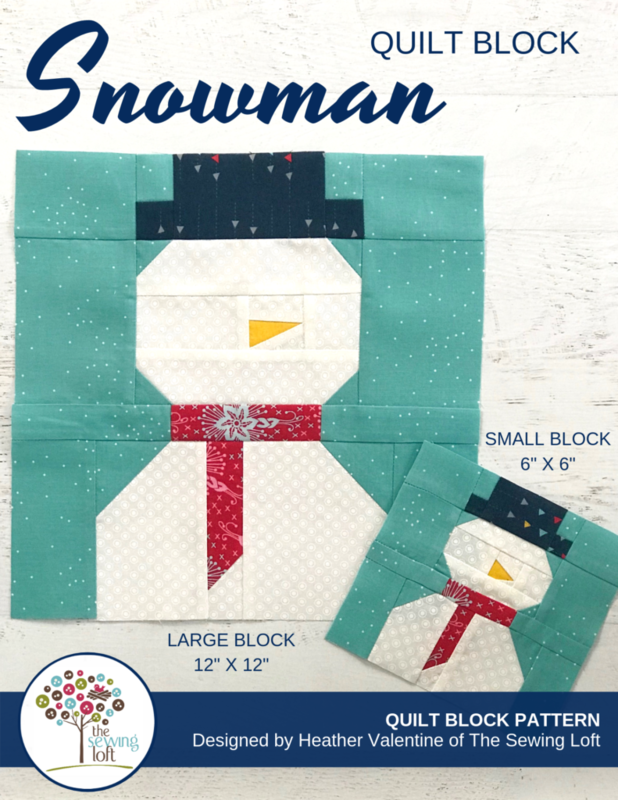 This weeks snowman quilt block is for the inner child in all of us because no matter what your age, there is something about snow that is magical! As a child, I would be the first on the block to rush outside and play in the snow. Making snow angles, stock piling snowballs, heck, one year we even made an igloo. That fort turned into a solid block of ice and lasted most of the winter. Due to a few small pieces and improv technique, I’m labeling this block perfect for the confident beginner. 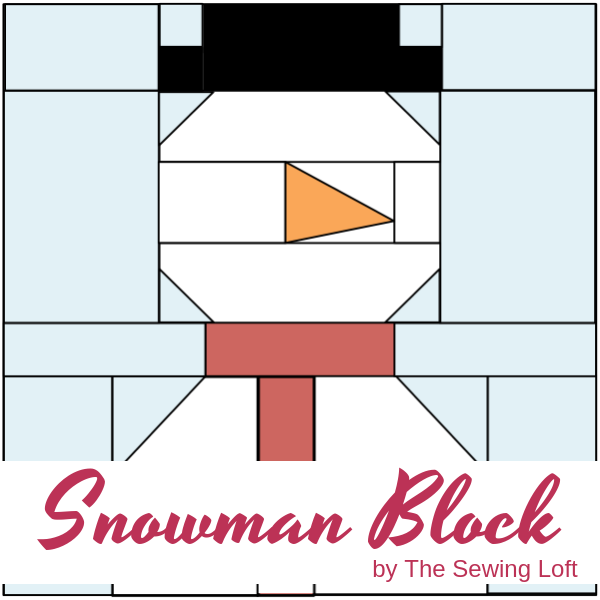 The construction is a simple patchwork but the smaller pieces on the 6″ block can make things tricky for the newbie. I highly suggest starch! Please share a few of your finished blocks using the hashtags #Blocks2Quilt and #TheSewingLoft so we can all see. Remember, each week a new block in the series will be released and you won’t want to miss out. Be sure to sign up for my newsletter below and have the block articles delivered straight to your inbox each week. Thank you for these fun blocks!! Very cute. 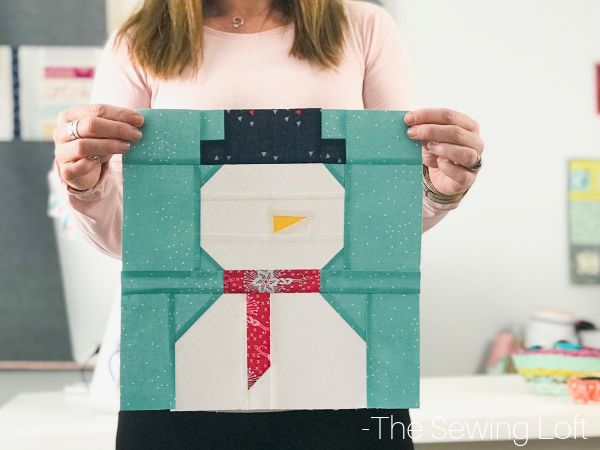 New to sewing/quilting and just discovered your blog. Wish I had found you earlier so I could have gotten the entire set free. Thanks for your sweet note Barbara! Don’t worry about missing the first few blocks. This series is a year long so there will be plenty of time to add to your block library. II am unable to find how to print off the free pattern. Help? Each week the block is available for free. You must click through the link on the blog and actually check out. Once checked out, the block instructions will be instantly emailed to you. I hope that helps you going forward.